Because sometimes it can feel like home offices are often an area we’re forced to spend time in, rather than a room we want to spend time in, we’re looking at inspiring home office ideas to make your workday all the better. Frankly, there’s no reason you shouldn’t have a home office you enjoy spending time in while working. In fact, your productivity will flow better when working in a space you feel energized and confident in. The more clutter, dingy, and ill-planned your home office decor is, the harder you’ll find it to work in that space. Function is key, but you should also introduce some stylish design as well – design your office space to represent your personality and creativity. 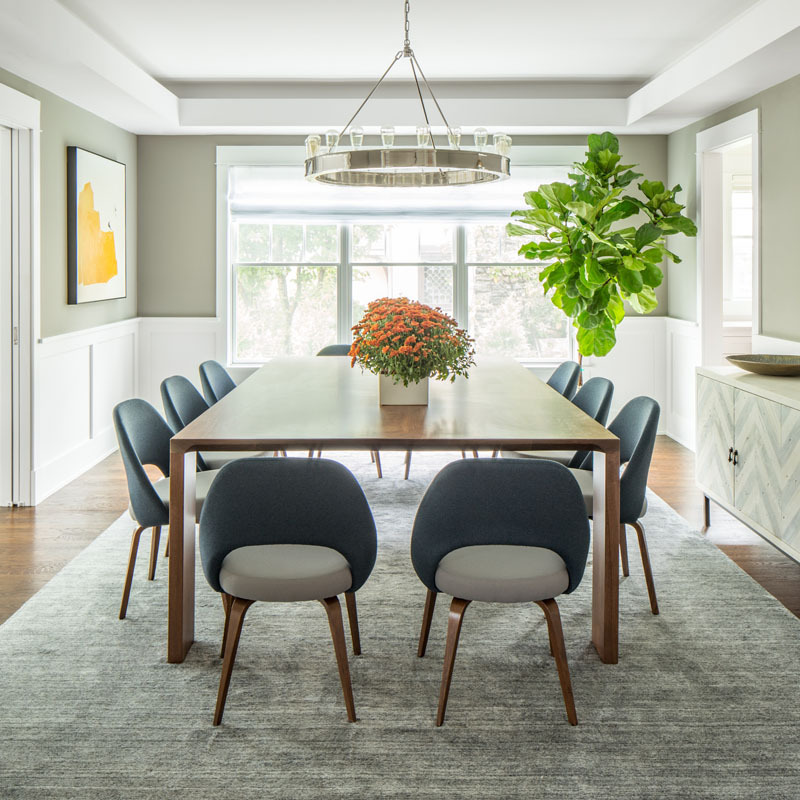 With that in mind, our interior designers shared cues with us while considering the best home office design ideas for 2019, and beyond. When it comes to practical home office ideas to create an inspiring space, the area you designate is crucial in ensuring that you get the best use out of your workspace. 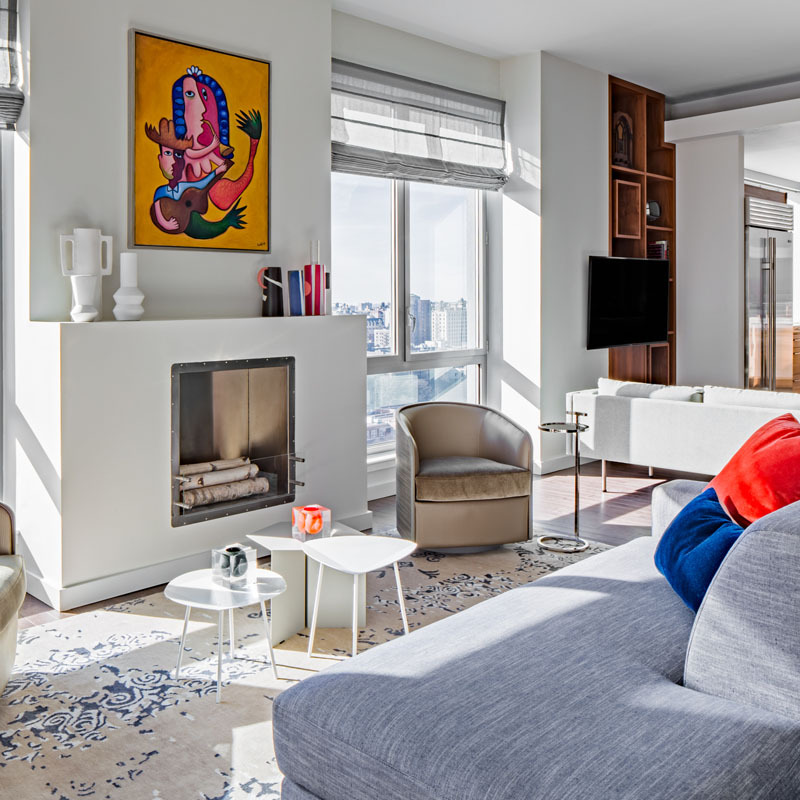 Make sure that there is plenty of breathing room, privacy, and calmness to avoid feeling cramped, or being situated near a louder, high-traffic area. Even if your home office options are a basement or an attic, what you see as you work can make a dramatic difference regarding performance. Situate your workspace near a window, and if that’s not possible, install an inspiring piece of artwork in front of your desk for randomly captivating breaks during the day. Maybe you’ve made a few aesthetic sacrifices in your living room to impress guests, but when it comes to beneficial home office ideas, there’s no need to place form over function. Why? Simply put, you need your home workspace to help you perform your best as much as possible, and an uncomfortable setting just won’t do. Just because you’re short on space when looking to bring home office ideas into reality doesn’t mean it’s entirely impossible. To the contrary, home office ideas are just that and can extend anywhere in your home without requiring a designated room of their own. 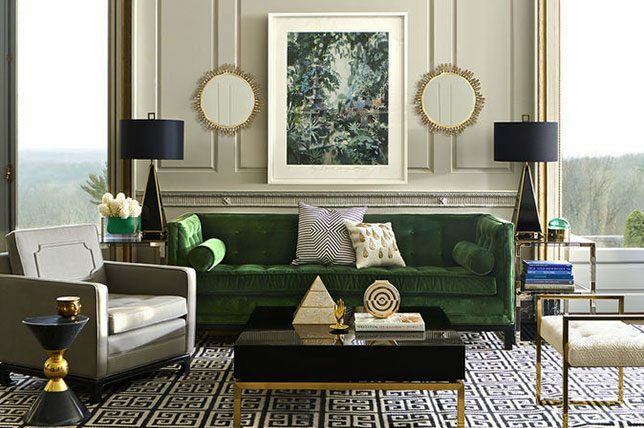 Just because it’s an office space doesn’t mean it can’t be glamorous. No matter what type of work you are doing in your home office, there’s no need to skip out on everyday elegance. Open up the room with a glass topped desk and keep it glamorous with high-shine gold legs. 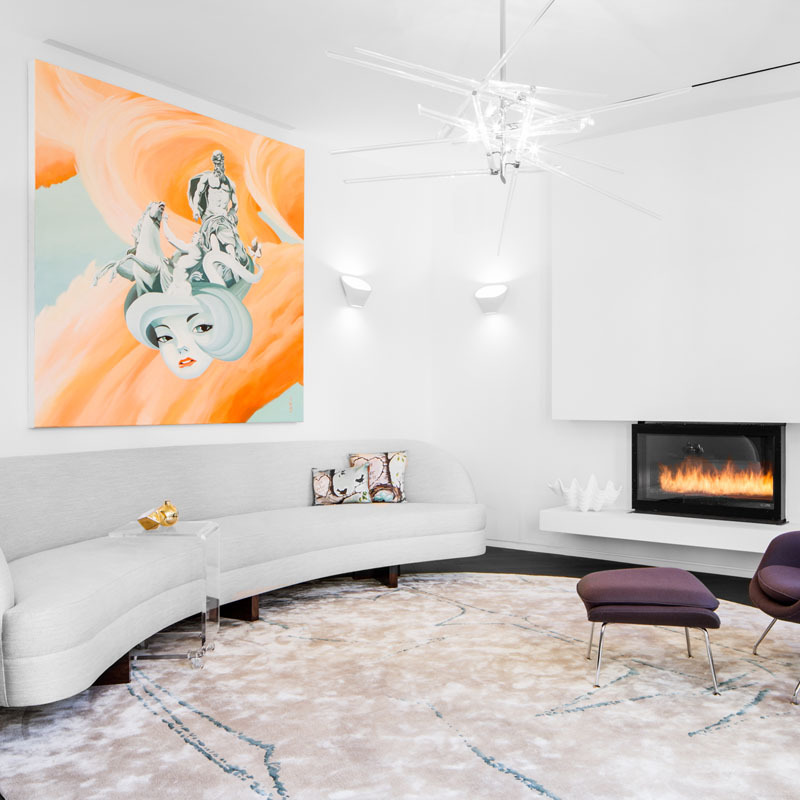 Throw down a plush fur rug and install a chandelier centrally for a grand effect. Elevate your home office ideas with gold accessories on top of a chic filing cabinet or storage unit, ensuring that your space remains both beautiful and practical. Paint the walls white, or have a feature wall in a luxuriant, dark color for added depth and drama. If you aren’t one for distracting decor and want a visually quiet and relaxing space to work in, then soothing all-white modern home office ideas might be the right direction for you. Having an all-white space will leave you free from any distractions while you work and your office space will feel well-judged and energizing. 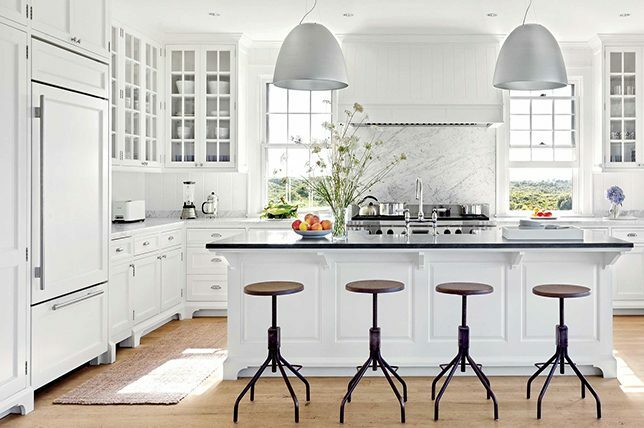 White floors, white walls, white shelving, white cabinets, and a white desk, will come together harmoniously to create a perfectly chic workspace. A minimalist approach will also encourage you to keep it organized and clutter-free, adding to the feel of a fresh and relaxing workspace. If you want your home office decor to be the inspiration behind your creativity, then an arty and eclectic space should feel ideal. Fill your home office design with pieces of furniture and accessories that speak volumes to you and boast brilliant design that you find endlessly inspiring and thought-provoking. You want your room to represent your creativity and inspire your creative process, so inject your workspace with fun, bright, and bold office decor ideas. Your shelving doesn’t just have to be for reading materials and office supplies; decorate them with mementos, keepsakes, and collections that represent your taste and lifestyle, along with art, plants, and anything else you admire and love looking at. Keep your home office design ideas to a minimum when perfecting a soothing minimalist design for a productive workspace. As modern home office ideas go, this one is both timeless and fail proof. Choose a neutral palette and stick with it throughout, with calm tones for walls and flooring and as little furniture as you can manage. Choose a light-hued wooden desk and pair it with minimal lighting and storage units. Avoid the space becoming cluttered with a cabinet to store office supplies you may need on hand and keep accessories and surface clutter to an absolute minimum. With an organized desk, comes a clear mind to increase productivity in your home office. There is nothing like traditional home office ideas when you are considering creating an elegant office space. 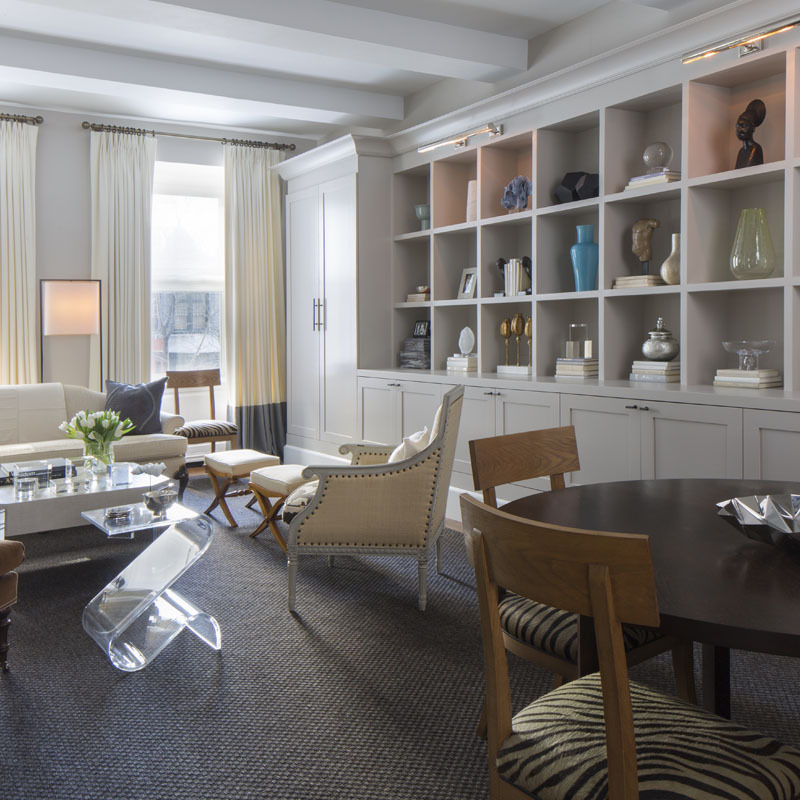 When you are relaxed and comfortable, it is much easier to master the work you have ahead of you, and there is something about traditionally designed spaces that makes them inherently relaxing and comforting. Choose a brightly patterned rug to brighten up the space, while adding a sound-absorbing softness to your home office decor. Invest in floor-to-ceiling cabinetry and shelving to give you the feel of working in a library more than a standard home office. A large, dark wood desk will set the stage and painting the walls in a luxurious grownup shade will only maximize the effect. Office decor ideas like this look stunning and evoke a different era. When you are searching for inspiration for small home office ideas, it can sometimes feel like you are the only person in the world with a tiny office space. 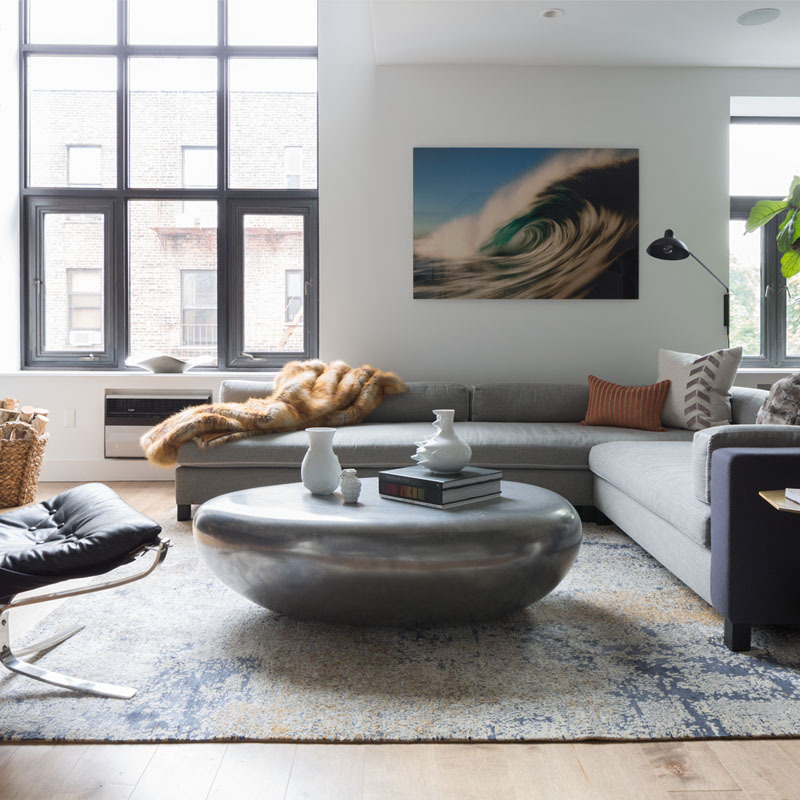 A lot of the spaces you will come across feature huge rooms, with space for expansive desks and masses of shelving, but not everyone has room for that. If you don’t have a lot of space, make the most of what little space you do have with vertical storage solutions. Source cabinets that extend up to the ceiling to give you as much storage space as possible while making the room appear larger and grander. Be clever with under-desk storage and finding fun and space-saving ways to store your stationery and paperwork. Why not peg your most-referred to paperwork onto a stylish cork board, so you don’t need extra space for files? Home office design is often about creating a light and bright space, using plenty of white and neutral tones, to keep it feeling airy. But, it doesn’t have to be that way. You can create a gorgeous office space using black and dark grays, for a really dramatic statement, which is also just as effective as a white working environment. 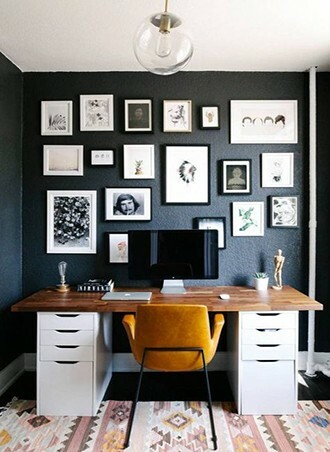 Go dark with a black desk and storage units and keep it moody with charcoal walls. Make sure you have plenty of lighting for office ideas like this, as there is less reflective surface than in a white-walled office. 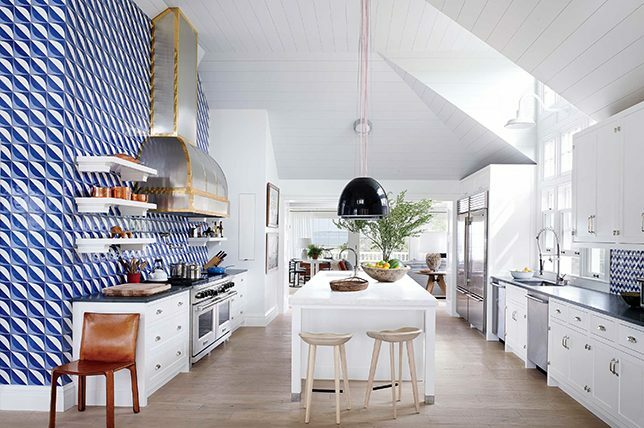 Who doesn’t love open shelving? Open shelving is practical and stylish, making it perfect for home office design. 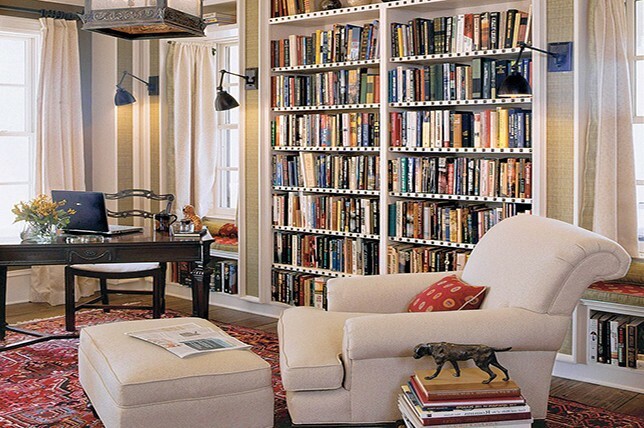 Have shelves installed across one wall, or create a grid of shelves throughout the room. Whatever your home office ideas involve, open shelving is a great way to make the most of your space (perfect for small home office ideas). Paint them white to open up your space or paint them in a contrasting color for home office décor that’s more unexpected. You’ll have no problem storing all of your office files and books with open shelving, and if you have anything you can’t find a place for, invest in colorful boxes or baskets to store them in. 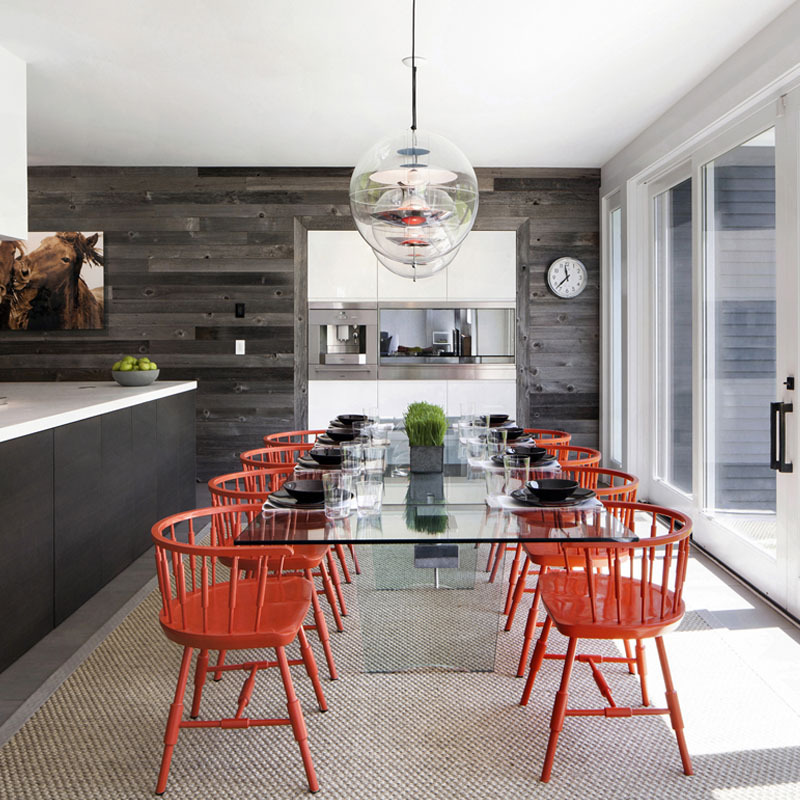 Industrial spaces are on-trend for every room in a home including home office design. If you enjoy being in it, then you are more likely to be productive in your space and industrial design is conducive to productivity and enjoyment. If you are good at DIY, you’ll find creating an industrial home office space an exciting challenge when looking to create a unique and customized workspace for the perfect home office. It should go without saying that your work chair is probably the most important piece of furniture in any office. But when it comes to home office ideas there’s so much to think about, it can be confusing on what to focus on. Do invest in a quality, well-designed ergonomic office chair that will support you throughout the day in comfort and style. You’re sure to find daily inspiration by bringing in items and finds that you cherish and find endlessly fascinating and inspiring. By doing this, you’ll ensure that your home office space remains personalized and unique to your home. From extra pillows to cozy throw blankets, the best home office ideas often put comfort before form – and for good reason. After all, who would want to feel uncomfortable in their home office anyways? Set about to make your home office feel as warm and inviting as it possibly can to help you enjoy spending as much time in it as possible. Because we’ve never seen an attractive grouping of chords or a gorgeous printer, when considering stylish home office ideas, work to conceal as many tech-related elements as you can with clever storage solutions and proper planning. 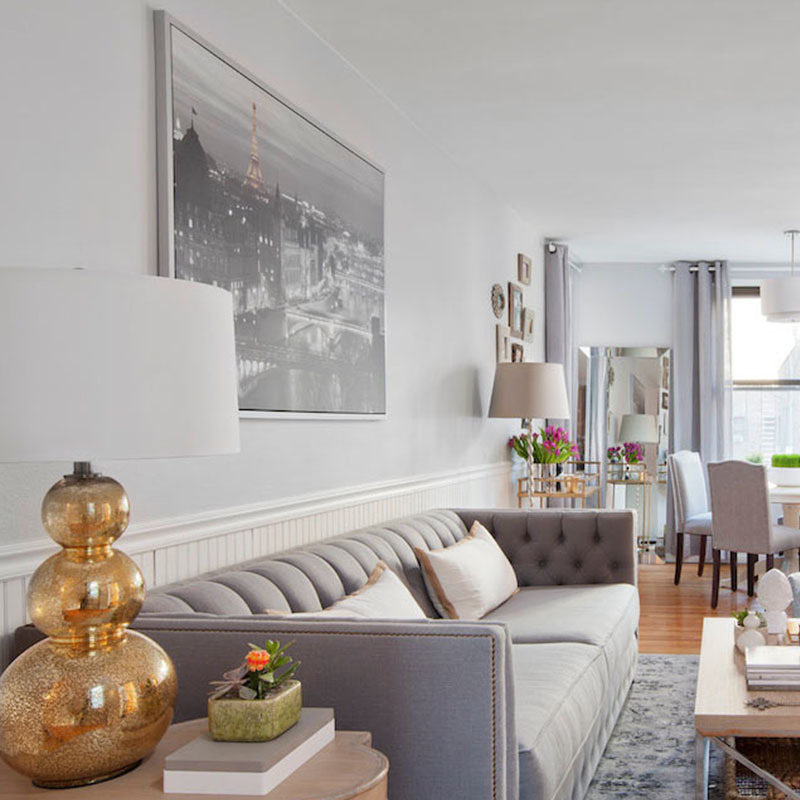 Trust us, concealing bulky electronics and chords will make all the difference in making the area feel more sophisticated, even in the short-run. Lighting also makes all the difference and is essential when wanting to feel refreshed in your home office while you work. Bright natural light is great, and on the other hand, too bright will come off as clinical and will be sure to make you more tired throughout the day then proper ambient lighting. The best home office lighting will create a warm glow with a hint of everyday glamor for good measure. Looking for sustainable, beneficial home office ideas? Well, we’ve said it before and we’ll say it again, you can almost never go wrong with introducing plants to any space for several key reasons. 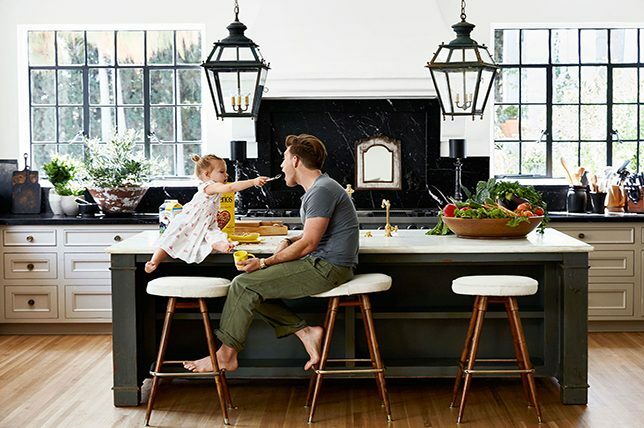 Plants are an affordable way to bring the outdoors in, they’re gorgeous and inspiring, and best of all, many types can actually work to purify air with little to no maintenance required. Rugs are great for tying a room together while making it feel cozier and inviting and for tying all of the various elements together in one quick swoop. 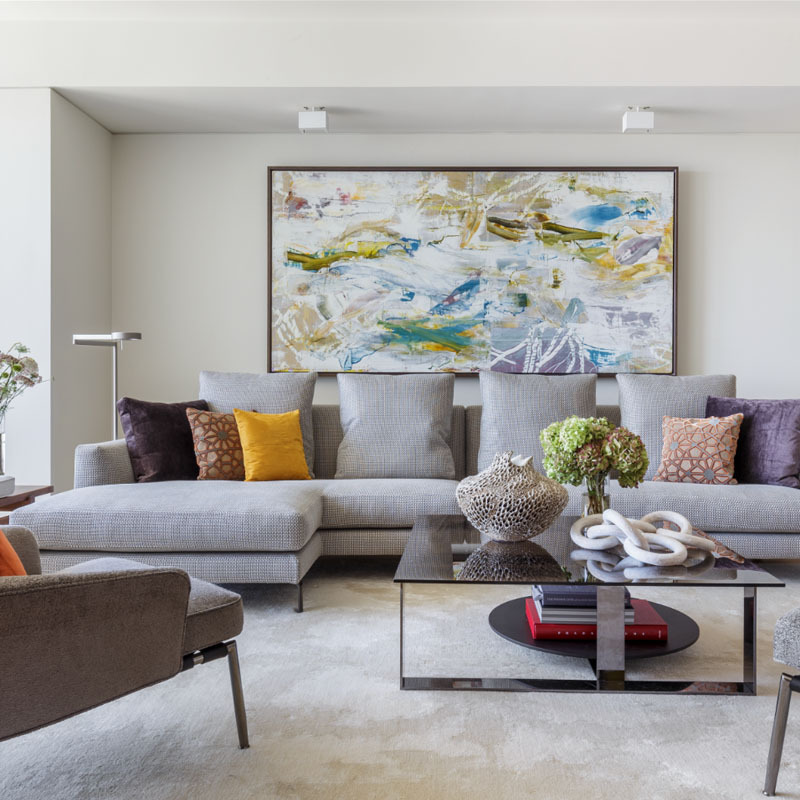 The trick here is to go for a somewhat bright solid rug to make the room feel as large as possible with little design distractions in the way. When it comes to comforting home office ideas it pays to surround yourself with familiar and cherished items so you can take much-needed breaks while admiring your collection of framed family photos, graphic art, and memorabilia. Just be sure that what you do install will keep you distraction free as you don’t want your mind to wander too frequently throughout the day. For a rich and layered mix, bring in a variety of elements from different areas so your home office doesn’t come off as drab or decorated overnight. 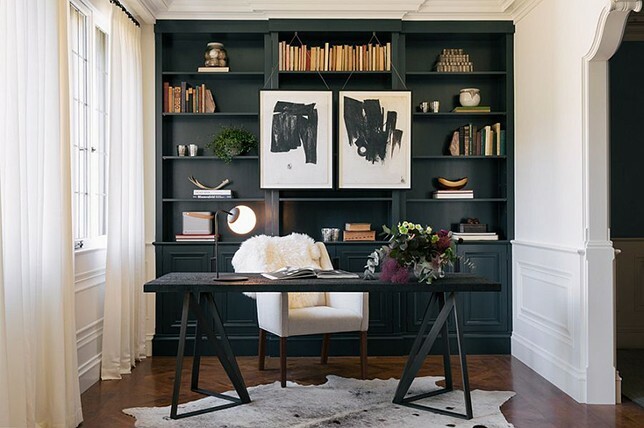 Opting for a transitional direction will also keep your home office unique to you and will make the process of decorating it all the more fun as experimenting with juxtapositions can yield great returns when done well. Unless you have no other options when it comes to home office ideas that’ll boost productivity, situate your workstation in front of or near a window with sweeping views. 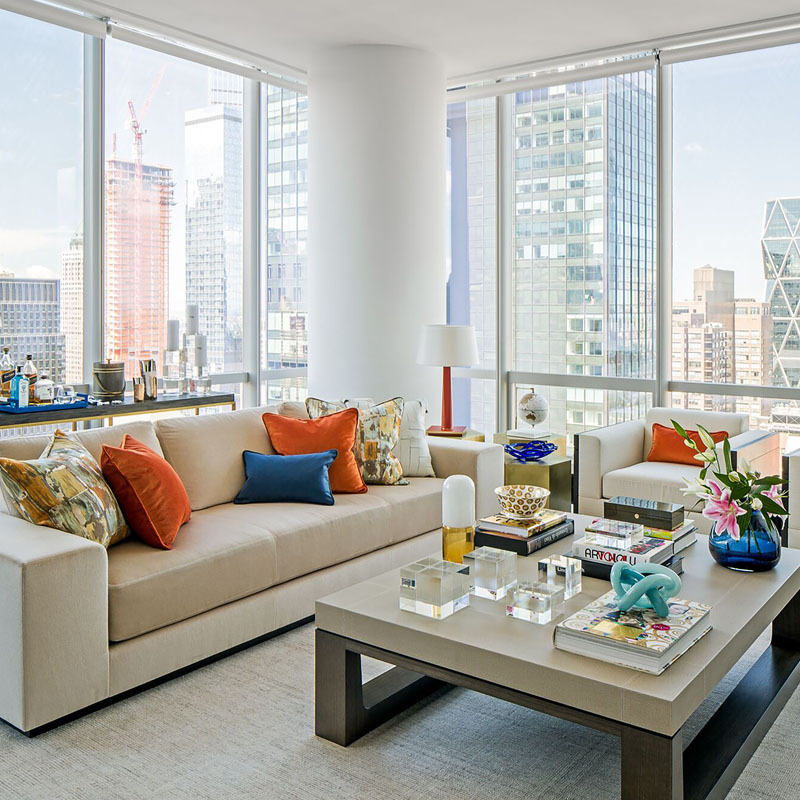 And if a window is unfortunately out of the question, bring in visually impactful artworks or mirrors to help your mind pause and wonder a little bit for a quick workday refresh. Just like you would in any challenging small space, try and use as much square footage in your home office as you can to optimize the use of your designated area. That said, also take advantage of every element and consider them tools to sharpen your day while inspiring you endlessly. When it comes to minimal home office ideas, take a page from classic Scandinavian style and bring in light woods and pared down decor for a clean, spartan look that’s sure to inspire. The key here, again, like with so many home office styling options, is to keep things consistent for a calming effect that will never come off as dated or out of style.